Well opening day went off with a bang today, literally! 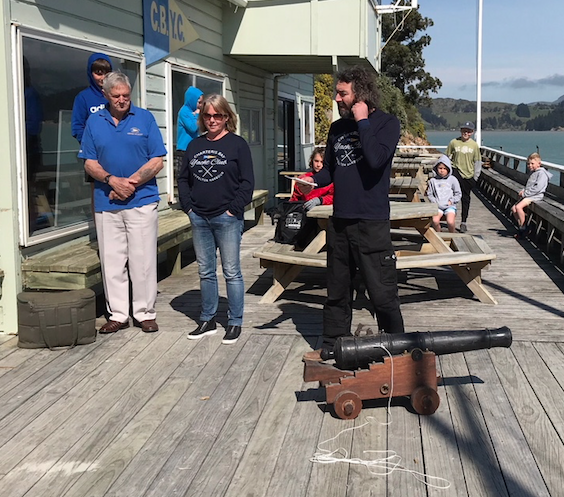 Our new commodores Gary and Rebecca produced a replica cannon to start the season, with club president Malcolm Pearson present to fire it. Check out the video here, (I suggest you fast forward to 1.58 as the action is at the end!) Expect to hear it again over the season as we have it on loan. There was a fantastic turnout of seniors and juniors, at least 50 boats and a great breeze to get us underway.